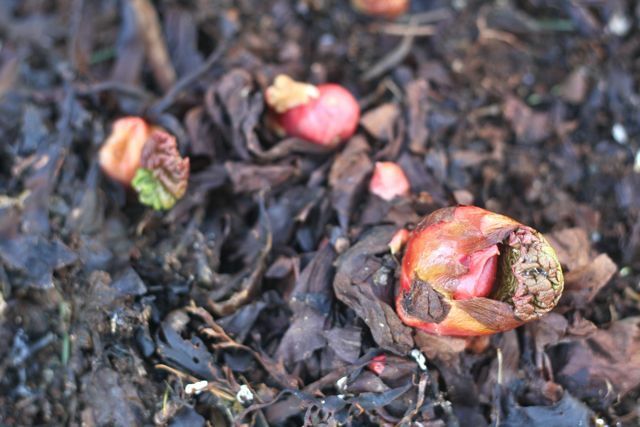 The rhubarb has been waiting patiently for me. 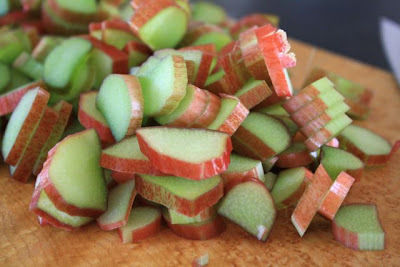 Just before running out the door to catch my plane out of Comox, I remembered the rhubarb. Dad rushed out to cut me some big, happy stalks. We pushed them into a plastic bag, and carefully laid them in my carry-on next to the kale and stinging nettles. That was the end of April. Since then I have planned a live radio show on board a streetcar and gone to Saskatoon to celebrate my sixth wedding anniversary. It's been a busy few weeks. 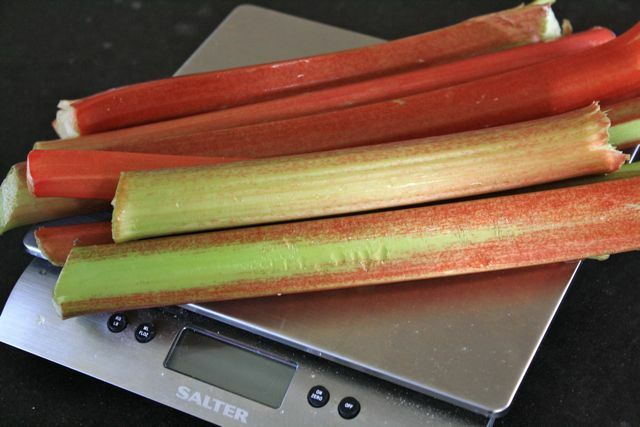 But, as I mentioned, the rhubarb has been a model vegetable,* quietly waiting at the back of the fridge. 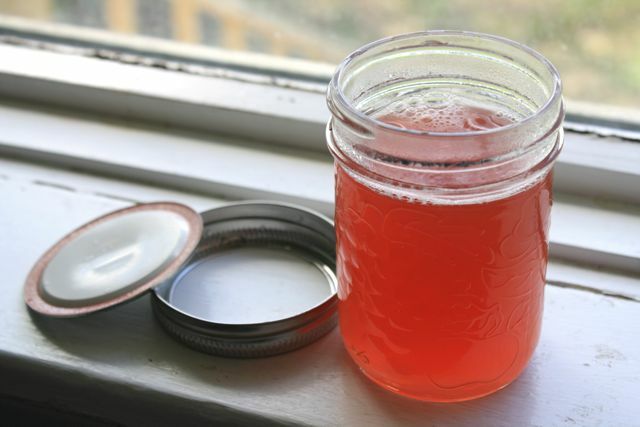 Yesterday, I chopped it up and turned it into a slightly-sweet, ruby-red syrup. In other words: spring in a jar. I make this syrup every spring because it's such a nice way to process rhubarb and looks so pretty. 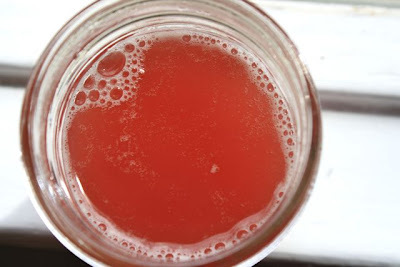 It's also incredibly easy – about 20 minutes from stalky start to syrupy finish. What to do with the syrup? Well, it would be a darn good excuse to make panna cotta. I also like it drizzled on a dollop of thick Greek yogurt. And, in just three days, the weekend will be here and we'll try it dibbled on pancakes. Really, you could spoon it over anything . . . what food isn't happier with a bit of pink syrup on top? *You may call rhubarb a fruit. That's OK, too. Put all the ingredients in a pot with a heavy bottom. Bring to a light boil over medium-high heat. 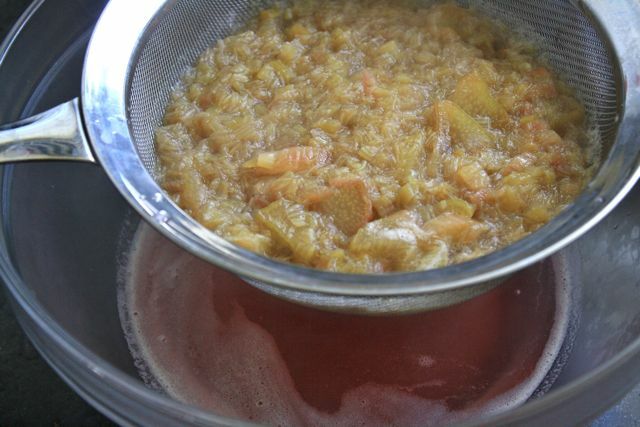 Turn the heat down a bit so it can simmer comfortably and stir every so often. Cook until the rhubarb has broken up, but isn't a dead pulp, 8 – 10 minutes. Cool and refrigerate. Keeps for at least a week. Lovely on yogurt, panna cotta, anything that needs a little injection of spring. Yum. Rubarb is one of my favourites, and this sounds like an awesome thing to do with it. I think it would be great mixed with sparkling water too! Oh, that's a great idea! Especially because the syrup is very light and not too viscous, it would be lovely mixed into a drink. Hmmm . . . champagne might be good, too! This looks delicious to me - I may just have to make it!